Trutrack Suspension modifies car suspension for any car make or model. Trutrack suspension can modify wheel alignment or complete a total suspension enhancement. Many clients of Trutrack won’t take delivery of their new vehicle until the suspension has been completely modified by Trutrack Suspension. Wheels, tyres, shock absorbers, coil springs, sway bars and bushing may need to be modified to suit Australian Roads. Most prestige vehicle suspension was designed and tested for European roads and conditions. Most high powered Asian Cars are tested for European conditions for their export value in that market. Australian roads and conditions are vastly different and so is the required suspension technology. If you take your car and driving seriously there is no doubt you understand the importance of stopping your car when you want to. Safety can not be compromised. 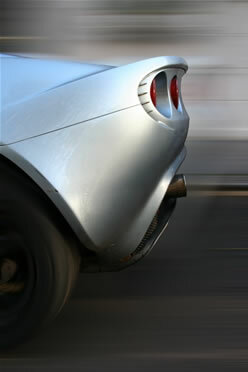 Your brakes can be modified, upgraded or restored at Trutrack Suspension. We specialise in the technology of how your vehicle can handle the roads of Australia and New Zealand. Suspension modifications can go as far as a redesigned front and rear suspension so the vehicle is ready to compete in any road or track event. Click here to send an enquiry regarding suspension modifications - suspension upgrades and suspension enhancements.